Handcrafted from solid premium mahogany. 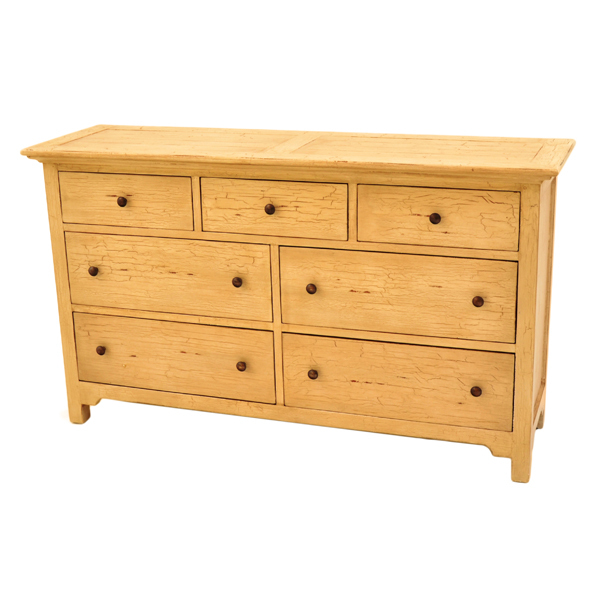 Seven drawer dresser for plenty of storage. 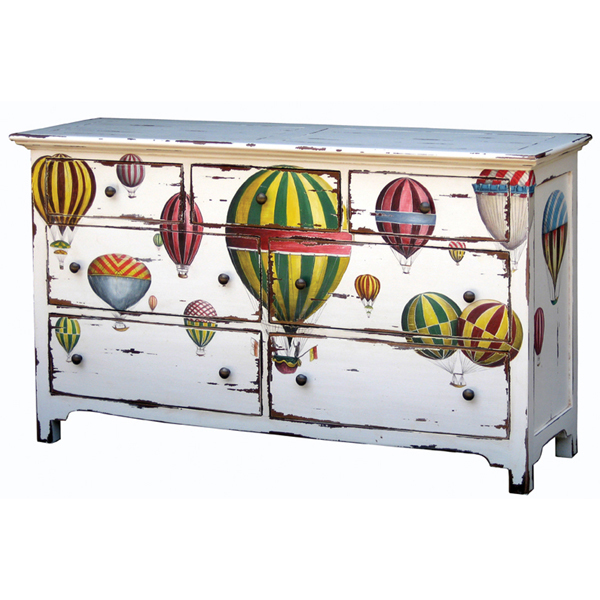 Shown in White Heavy Distressed with A86 Whimsy Artwork applied. This design is available in 50 different colors, and you may specify light or heavy distressing. Also, this design is available with hand painted art work for no additional cost. Custom is our specialty. Click on the buttons below to see color and art options. 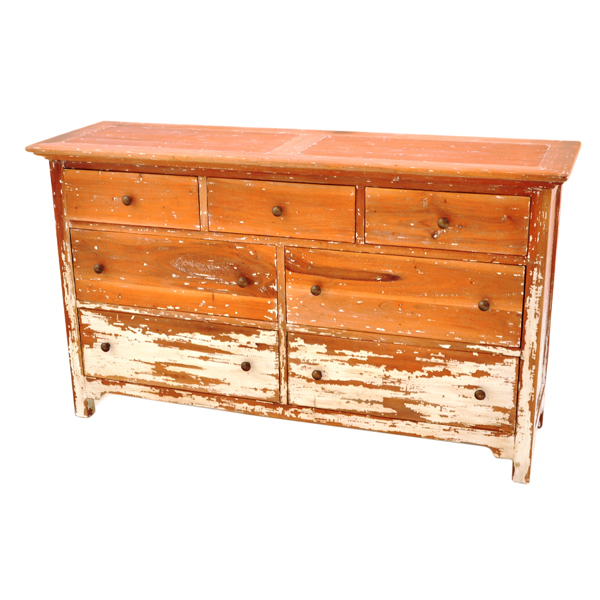 We presently have this Dresser in stock in the colors below. (ANC-M CKL, WHD-M WDT ) Please click on the images below to better see the color and detail.